How Much Does Dump Truck Insurance Cost? 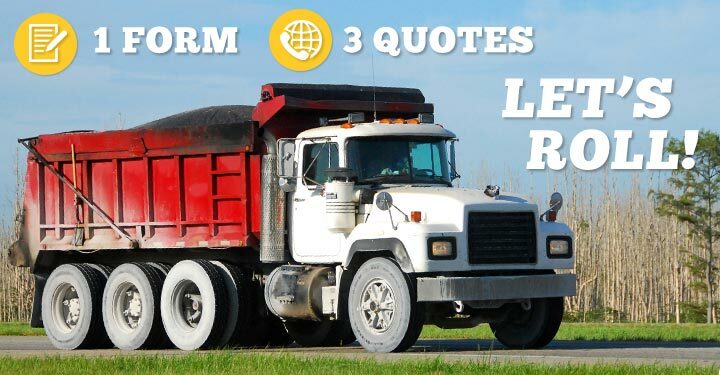 Need a quote on dump truck insurance? Let us connect you with 3 qualified agents, who will compete for your business today! The overall cost of dump truck insurance depends on several factors, the largest of which being the type of work your dump truck does. Are you using your dump truck for commercial reasons, like hauling sand or aggregate, or for personal reasons, like hauling materials on your farm or ranch? 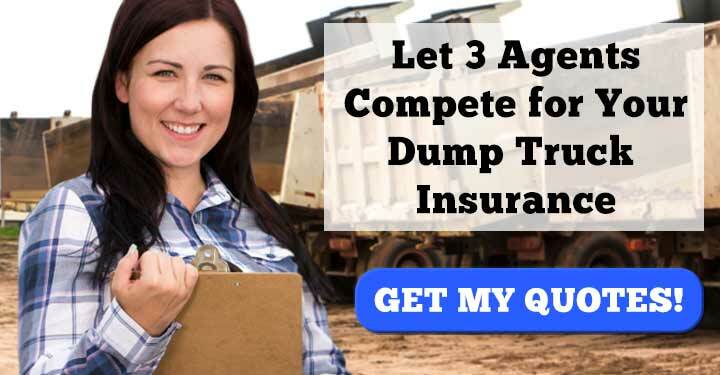 Personal dump truck insurance, also called farm dump truck insurance, costs significantly less than the insurance that commercial owner operators are expected to pay. Farmers can expect to pay between 250 and 1000 a year for farm truck insurance, with most policies averaging about 600 dollars a year. Not sure if you qualify for farm insurance? Contact your insurance representatives today, who will evaluate your information and draw up a quote. The cost of dump truck insurance for owner operators and trucking companies is more expensive than personal dump truck insurance. Insurance companies look at many more factors when determining your price. The biggest factor affecting your rate is the size of your dump truck. The following table shows the average cost an owner operator can expect to pay for dump truck insurance based on how large his dump truck is. Compare different insurance companies. The single best thing to get the lowest possible price is to look at multiple policies from different insurance companies. The easiest way to do that is to use this Request Three Quotes page to get in contact with three insurance agents at once. That way you don’t have to go looking far and wide for the best agents; they’re brought to you instead. Package your insurances. Both O/O and small fleet companies can take advantage of bundling their insurance. Insurance companies will offer discounts on policies covering multiple dump trucks. Look into experienced driver discounts. If you have your CDL and you’ve been driving commercial trucks for a couple years, insurance companies will offer you a policy at a reduced price. Or look into experienced business owner discounts. Likewise, if you’re a business owner who’s been operating for over three years, insurance companies will offer you a discount. Get a seasonal insurance policy. Say you only use your dump truck during certain parts of the year. Consider getting a policy that’s active only during the seasons when you use your truck. That way, you don’t pay for the time when you don’t use your dump truck. Pay your insurance in full. Instead of paying month-to-month, opt for a yearly payment plan. This option usually comes with a reduced cost to your overall premium. Pay electronically. Insurance companies also offer discounts to those who pay online.